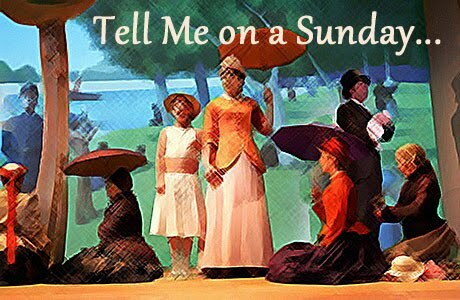 Tell Me on a Sunday: Overrated Musicals! There are some shows that are amazing and popular and critically acclaimed, but then there are shows that are terrible and yet everyone loves them. While we all love to talk about shows that we love, I find that more people are more interested in talking about shows that they are baffled by or even just straight out dislike. Also, here are the words that come up when you put “overrated” in a thesaurus: magnify, exaggerate, blow out of proportion and embellish. Ok, so with that all out of the way here are the two shows that I think are so overrated that I, to this moment, do not understand their appeal. I will with while you let that sink in….I know it’s most likely that someone loves those shows. It just so happens that the two musicals that I have mentioned are two of the most successful and long running musicals in the history of Broadway. But that doesn’t mean I’m wrong, and it doesn’t mean that they’re good. I know that Les Miserables is based on a classic novel, and I have read that novel. I have seen various adaptions of the novel, both musical and non, so it’s not the story. I think that while it has some songs that are memorable (Although possibly it is because they are played until ad nauseum – yes “I Dreamed a Dream” I am thinking of you). But overall I think that it is a overly long, dark (visually) and overly sentimental musical. It can border on campy and sometimes crosses the line into overblown. While I know that adapting into a musical can require changes to plot and characters (Wicked, I’m looking at you) I feel like the adaptions leave out some interesting plot information, turn truly vile opportunists into charmingly obnoxious disillusioned con men and simplify other characters into shadows of what they were. At one point during this show I realized that the person I was attending the show with and I were using binoculars to look at the stitching details on the costumes – that’s how not invested we were in what was happening on the stage. And that’s not counting all the other songs in this musical! Lip-syncing- While I understand that due to staging, sometimes songs have to be pre-recorded, it is not cool that the main song, the most famous song and the moments that are so revered by people are also the moments that are pre-recorded. So unless you go to the show knowing that you will be watching someone lip-sync they do not tell you. That’s just cheating…. This adaption of the novel that it is based on is not well done and in doing so sacrifices the character development and with it audience investment. There is no explanation as to why the Phantom lives in the bowels of the opera house (he is a disfigured genius who was one of the contractors who built the opera and who secretly built into the cellars a home for himself) or even his name (Erik). So why should I care about him? Ok, so now that I’ve gotten that off of my chest….which musicals do you think are the most overrated? Is there a musical that you avoid at all costs? Why and what turns you off from this musical?